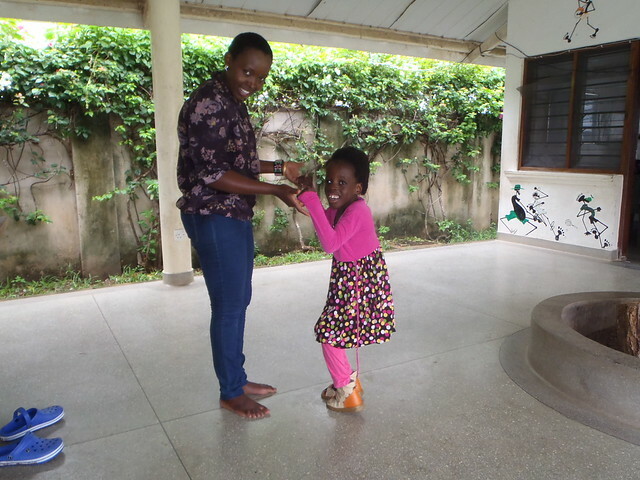 The Occupational Therapy Department at The Good life Orphanage is a new department which is vigorously growing. Last year when we started, the department had only four differently abled children from The GLO but after sometime we extended our services to the community and the number has risen up to a total of thirteen children right now. Our department is benefiting both the children from the orphanage and those from the community. We have been able to witness a lot of promising achievements as most of the children have achieved important milestones in life, an indication that they are on their way to living independent lives, which is our main goal and target. All the children we are helping from the community are coming from very poor families and therefore can’t afford such services since most quality services are offered in private hospitals which can charge as high as 1000 kes per session which only last less than an hour. This equates to a weekly salary for many people working in manual labour jobs so it is an impossible task for them to meet these costs. 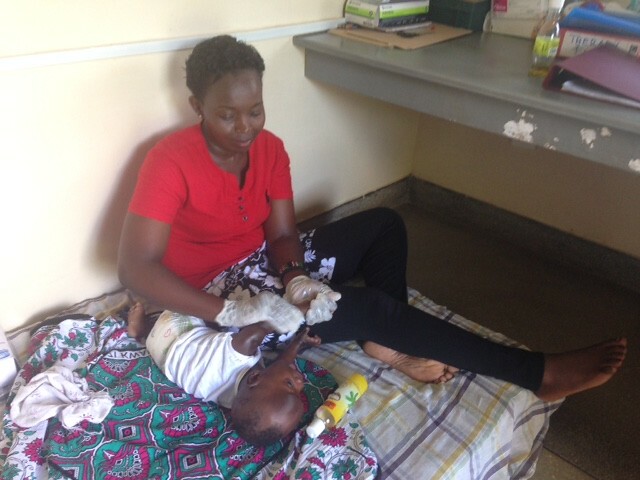 The other option for them is to go to government hospitals of which there is only one serving the entire Kilifi County so the queues are always long and most of the children don’t get ample time to be attended to. These challenges have led to such children being neglected, stigmatised and sadly often they remain locked into their houses during the day. 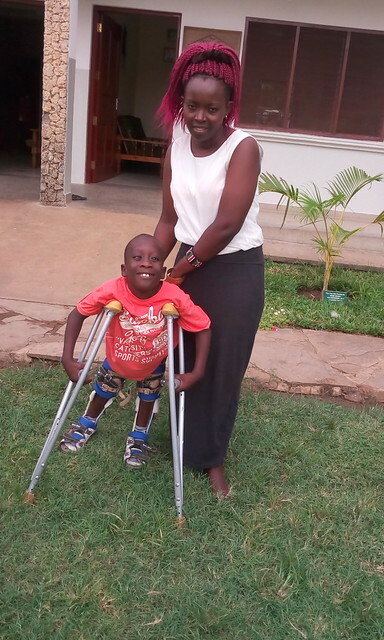 We are dealing with children who have different conditions such as Celebral Palsy, Spina bifida, Hemiparalysis, Learning Difficulties, Autism, Delayed developmental milestones and Hand deformities. These different conditions require very many occupational therapy equipments to enhance the treatment media, in which so far we have tried to get some to just compensate although they are not the best. We are looking forward to expansion of our department even further because we are targeting to offer maximum help to these differently abled children as much as we can to enable them live a better life. We know we can make a difference and as a result transform their day to day living standards. Our major aim is to expand this department and equipping the therapy room because we a receiving requests from more special children with different cases every day. We are appealing for financial assistance and also for volunteers in this specialist field to visit. Recently a good friend of Papa Kevin & Mama Mary’s came from the U.K., Diane observed different therapy sessions and then advised on where I could offer more to the children. It was very informative and I really appreciate the guidance Diane gave me. 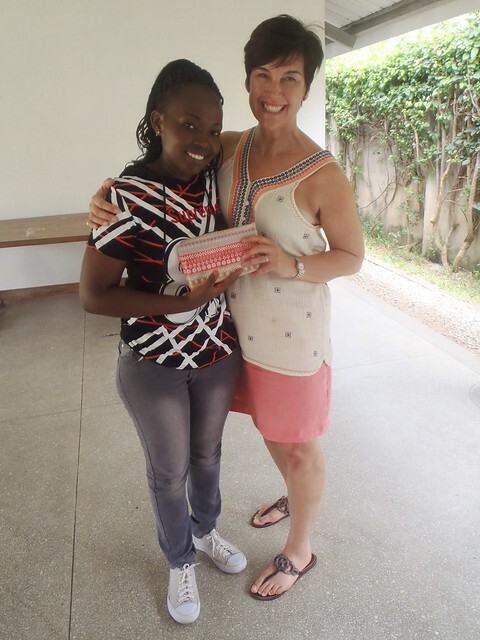 Also Donna O’Neill who is an Occupational Therapist in Northern Ireland has been corresponding with me online as often I am unable to find a suitable way forward for one of the children I am treating due to a lack of equipment available here in Kenya and our limited funds at The GLO. Having this link to both Diane and Donna gives me confidence as I deal with so many different children looking for treatment on a daily basis at The GLO, the need is great. As a project we are looking forward to welcoming volunteers specialising in this field over the next twelve months and we are hoping that 2018 is the year when we go from strength to strength to become a flagship in the area offering this therapy to children and their families. Another worthwhile area I am always amazed at the variety of activities and specialist services you continue to develop. Keep up the good work.